I'll bet on the machinist! Ryan’s blog is thoughtful, passionate, and genuine. You can read the entire post at Change the Perception. I liked Ryan’s story a lot. I liked how he showed that his thinking evolved. And how in the end he recognized that he became his dream. That as a machinist, he is in fact a Super-hero. "Hey Superman, whats your accuracy?" Legalese: The Superman Emblem is copyright of DC comics. 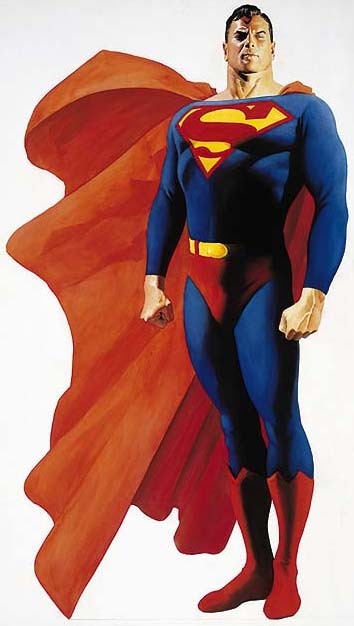 It is also iconic and truly owned by the hearts and minds of every kid who has been bullied, beaten or lost unfairly and thought that he could make things right if only he was the Man of Steel. Machinists apply energy, tools and metalworking fluids to make the steel do their bidding. It’s no contest really. This entry was posted on Friday, April 16th, 2010 at 4:44 am and is filed under Break Room. You can follow any responses to this entry through the RSS 2.0 feed. You can leave a response, or trackback from your own site. Manufacturing certainly needs to get more respect, from students, government, but especially from investors. For 30 years or more, investors have increasingly chased the big gains promised by real estate and finance, instead of investing in manufacturing, which would have used the capital to upgrade equipment and processes. China’s success is not based simply on cheap labor; they also have some of the newest and best equipment. My hope is that investors wake up and realize that the high rewards of real estate and banking come with huge risks. Likewise, we need more students to be excited about manufacturing so we can get top talent into the industry.